Under our system of responsible government, the Sovereign or Governor General exercises his prerogative powers on the advice of the Crown-in-Council, and his constitutional powers relating to Parliament on the advice of the Prime Minister alone. Responsible government means that “Ministers of the Crown are responsible for acts of the Crown” and responsible to the House of Commons. The Sovereign or Governor General acts as a neutral figure and remains above partisan politics. The Prime Minister is the Governor General’s principle constitutional advisor, and while his government commands the confidence of the House, the Governor General must carry out the Prime Minister’s advice. Under no circumstances can the Leader of the Opposition, the leader of the third opposition party, or any other government or opposition backbencher offer legitimate, binding constitutional advice to the Governor General. We must also situation this constitutional relationship between the Governor General (the crown personified) and the Prime Minister and cabinet (Crown-in-Council) to the Parliament of Canada (the Crown-in-Parliament). The Crown-in-Parliament consists of three parts: the House of Commons, the Senate, and the Queen (whom the Governor General of Canada represents as per the Constitution Acts and the Letters Patent, 1947). All three parts of the Crown-in-Parliament must approve of a bill before it becomes law. The House of Commons and Senate must pass the bill, and as the final act, the Governor General must give Royal Assent so that the bill becomes law. Royal Assent represents the pro forma approval of the Queen and her acknowledgement that the bill in question has passed through the House of Commons and the Senate; the final stage of the Crown-in-Parliament thus legitimates the other two. The Crown-in-Council plays no part in this process apart from scheduling the ceremony of Royal Assent. The Prime Minister may not advise the Governor General to withhold Royal Assent. The Prime Minister may not advise the Governor General to withhold royal assent because the Crown’s veto on legislation no longer exists. The Crown’s veto only applied in the early years of representative government, when the Sovereign’s ministers and the Prime Minister remained in power by virtue of maintaining the favour of the Sovereign rather than commanding the confidence of the House of Commons. Under responsible government, ministers of the crown are responsible for acts of the crown, but by advising the Governor General to withhold Royal Assent, the Prime Minister would call the neutrality of the Crown into question. In addition, the House of Commons would have no recourse against such an action short of withdrawing its confidence in the government, which would not prevent the veto. The Federal Court recently ruled that the Harper government’s proposed legislation to abolish the monopoly of the Canadian Wheat Board violates the rule of law because Section 41.1 of the Canadian Wheat Board Act mandates that the government must hold a plebiscite before abolishing this monopoly – even though the Harper government’s legislation effectively nullifies this provision by repealing it. I hope that the Harper government appeals this ruling, because the judge has infringed upon the sovereignty of the Crown-in-Parliament. I have no doubt that the Federal Court of Appeal or the Supreme Court of Canada, if necessary, would overturn this ruling. To paraphrase the great British constitutional scholar of the late 19th century A. V. Dicey, “what parliament can pass, parliament can amend or repeal.” In other words, a past parliament cannot bind a future parliament or prevent an MP or Minister of the Crown from introducing legislation that amends or repeals an Act of Parliament. And if a past parliament intended to pass legislation that limited a future parliament’s ability to pass legislation, then the past parliament erred and attempted to violate the sovereignty of the Crown-in-Parliament. To the Prime Minister through you, Mr. Speaker, could I ask how it is that the government’s intention is to proceed with the Wheat Board law and to ask the Governor General to give royal assent to the law when the court in question has said that the minister’s conduct is an affront to the rule of law? Would the Prime Minister not agree that the government should at the very least wait royal assent until such time as all appeals have been exhausted with respect to the ruling of Mr. Justice Campbell? 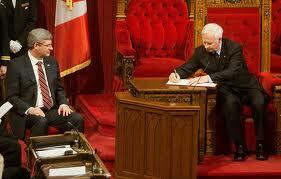 Bob Rae asked the government to postpone the ceremony of Royal Assent (which the cabinet does organize). Fair enough, but the Harper government certainly will not follow Rae’s advice. That phrase that the Queen gives Royal Assent “on the advice of her Ministers” means that the government organizes the scheduling of the ceremony of Royal Assent (just as the Canadian sources show) and advises the Queen when to grant Royal Assent – not whether to grant Royal Assent. The webpage on the Queen-in-Council has merely restated the conclusions that several British scholars drew in the 19th century. The popular theory of the English Constitution involves two errors as to the sovereign. First, in its oldest form at least, it considers him as an “Estate of the Realm,” a separate co-ordinate authority with the House of Lords and the House of Commons. This and much else the sovereign once was, but this he is no longer. What authority could only be exercised by a monarch with a legislative veto. He should be able to reject bills, if not as the House of Commons rejects them, at least as the House of Peers rejects them. But the Queen has no such veto. She must sign her own death-warrant if the two Houses unanimously send it up to her. It is a fiction of the past to ascribe to her legislative power. She has long ceased to have any. The Manual of Official Procedure of the Government of Canada and its Appendices provide an excellent primary source that supports the claim that the royal prerogative (reserve powers) to withhold Royal Assent no longer exists because no Sovereign has invoked it since Queen Anne in 1707, in the era of representative government and about 130 years before responsible government told hold. Not even Mad King George ever vetoed legislation. The Hanoverians implicitly accepted the constitutional limitations on their powers – including the destruction of the veto on Royal Assent. In other words, the reserve powers of the Sovereign become obsolete over time as the royal prerogative yields to the crown-in-council prerogative or to the crown-in-parliament. I would argue that the reserve powers on Royal Assent became obsolete some time in the 18th century (though we can never pinpoint an exact date). Certainly, by the time that responsible government had begun to establish itself under William IV in the 1830s, the veto on Royal Assent no longer existed. Royal Assent occurs automatically. The Prime Minister advises the Governor General neither to give nor withhold Royal Assent; the Prime Minister only determines the scheduling of the ceremony at which the Governor General gives Royal Assent. According to the Manual of Official Procedure of the Government of Canada, “The Government Leader in the House, in consultation with the Prime Minister and Leader of the Government in the Senate, initiates the decision to give Royal Assent to bills.” Next, “when a decision has been taken [the Leader of the House] informs the Prime Minister and the responsible Assistant Secretary to the Cabinet of the date and time.” The Manual treats Royal Assent as an automatic royal certification that the bill has passed both Houses of Parliament; the Prime Minister does not advise the Governor General to grant or withhold Royal Assent, but merely helps organize the ceremony. If the Prime Minister could advise the Governor General on Royal Assent, our system of responsible government would collapse. Should however any Bill be passed notwithstanding their opposition or adverse opinion, they cannot advise its rejection by the Sovereign. The power of veto by the Crown is now admitted to be obsolete and practically non-existent. The expression ‘Le Roi’ or ‘La Reine s’avisera’ has not been heard in the British Parliament since 1707, in the reign of Queen Anne, and will in all probability never be heard again. The Ministers [of the Crown] in such cases if they decline to accept the responsibility of submitting the Bill for royal assent must resign and leave to others the duty of doing so. 55. Where a Bill passed by the Houses of the Parliament is presented to the Governor General for the Queen’s Assent, he shall declare, according to his Discretion, but subject to the Provisions of this Act and to Her Majesty’s Instructions, either that he assents thereto in the Queen’s Name, or that he withholds the Queen’s Assent, or that he reserves the Bill for the Signification of the Queen’s Pleasure. Section 55 has become a dead letter in the wake of the Statute of Westminster, 1931 and the Letters Patent, 1947. First, this section originally existed in order to allow the British cabinet to advise the British Sovereign to disallow legislation that the Dominion of Canada passed contrary to the interests of the British Empire. In the 19th century, the United Kingdom still controlled the foreign affairs and defence policies of the Dominion of Canada. Second, the Statute of Westminster, 1931 formally recognized the equality and independence of all the Dominions and declared the Crowns of Canada, etc. legal entities independent of and separate from the Crown of the United Kingdom. Thereafter, the Prime Minister of Canada could advise the King or Queen of Canada on Canadian constitutional matters, just as the British Prime Minister advises the King or Queen on British constitutional matters. Third, this analysis has established that by 1867, the reserve power to veto legislation had already become obsolete. And given that Canada inherited a “constitution similar in principle to that of the United Kingdom” in 1867 upon the passage of the British North America Act, 1867, I argue that the Statute of Westminster, 1931 formally freed up the convention inherent in the Constitution Act, 1867 that the Governor General may never withhold Royal Assent. Fourth, the Letters Patent, 1947 provide a further rationale in support of this argument: section 55 of the Constitution Act, 1867 says that a Governor General assents to or “reserves” a bill “subject to […] Her Majesty’s Instructions.” The Letters Patent, 1947 are such an example of “Her Majesty’s Instructions” and delegated all the constitutional powers and authorities of the King or Queen of Canada to the Governor General of Canada. Since the King of Queen of Canada no longer possessed the reserve power to veto Royal Assent, neither then does the Governor General. If the Sovereign no longer possessed the power of veto in 1867 and 1882, then the Sovereign and the Governor General most certainly do not possess that power today in 2011. The Crown has been bound by precedent and convention for centuries to give Royal Assent to all legislation that passes both Houses of Parliament. British constitutional scholar Sir Ivor Jennings proposed that a custom or practice exists as a convention if it satisfies three questions: What are the precedents? Did the actors believe they were bound by a rule? Is there a reason for the rule? First, the precedents form 300 years of constitutional history. Second, based on all available evidence from the mid-19th century to the present, all Sovereigns and Governors General have considered themselves bound to recognize that the reserve power to withhold Royal Assent no longer exists. Third, the rule exists in order to preserve the principle of responsible government and our entire constitutional system as we know it! There is undoubtedly a convention that the Queen or Governor General or Lieutenant-Governor will not withhold the royal assent from bills which have been passed by the appropriate legislative chambers, but I am not aware of that any Queen or King or Governor General or Lieutenant Governor has ever explicitly acknowledged the obligation. The convention is well understood although tacit. In all reality, the website of the British monarchy cited above shows that the Queen has publicly acknowledged that she does not possess the authority to withhold Royal Assent. 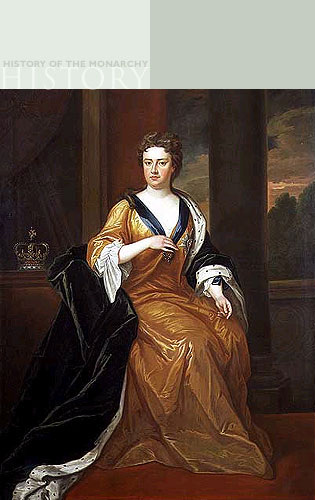 Queen Anne, The Last Sovereign To Refuse Royal Assent. Only a Prime Minister leading a single-party minority government in a minority parliament would conceivably want to advise the Governor General to veto a bill that passed both Houses of Parliament. But a Prime Minister leading a single-party majority government would probably never feel compelled to offer such advice, notwithstanding its constitutional impropriety. The current situation presents an even more bizarre constitutional quandary because the Leader of the Liberal Party – the third party – has advised the Governor General to withhold Royal Assent and in effect veto Bill C-18, An Act to Reorganize the Canadian Wheat Board and to Make Consequential and Related Amendments to Certain Acts. If the Governor General were to veto this legislation, he would not only repudiate 300 years of Westminster parliamentarism, but the principle of responsible government itself: he would veto this legislation based on his discretionary authority (the reserve powers) against the wishes of the government and against the will of Parliament and on the advice of the Leader of the Liberal Party! The Governor General’s veto on the basis of a reserve power that has been used since the reign of Queen Anne in 1707 and no longer exists; the anti-constitutional use of veto today would precipitate the most serious constitutional crisis since the Glorious Revolution of 1688 and make the Byng-King Affair of 1926, the Dismissal of 1975, and the Coalition-Prorogation Controversy of 2008 look routine. If the Governor General vetoed a government bill on the basis of a reserve power of veto that no longer exists, he would essentially dismiss the Prime Minister and therefore the entire 28th Ministry and leave the country without a government. The Prime Minister of Canada advises the Queen of Canada on the appointment of the Governor General, so he also possess the authority, in exceptional circumstances, to advise the Queen of Canada directly to dismiss the Governor General of Canada; the Queen would likely be bound to follow such advice. Clearly, whatever the ultimate outcome, a gubernatorial veto would leave our entire constitutional system in ruin and chaos. It is possible that the Governor General, at least, will refuse to grant royal assent to a bill that the courts have struck down.” However, Mr. Martin acknowledged in an unexpected reply to my tweet that “[The New Democratic Party’s] research shows [refusal to grant Royal Assent] is not an option. I can only hope that Bob Rae will also recognize that his letter repudiates 300 years of Westminster parliamentarism and offers illegitimate, non-binding and unsolicited advice to the Governor General, and that he is essentially asking the Governor General to precipitate what would become the most disastrous constitutional crisis in Canada’s history. Sir John George Bourinot, Parliamentary Procedure and Practice, 4th ed. (Montreal: Dawson Brothers Publishing, 1916): 102; James W.J. Bowden and Nicholas A. MacDonald, “Writing the Unwritten: The Codification of Constitutional Conventions in Canada, the United Kingdom, Australia, and New Zealand.” Journal of Parliamentary and Political Law (forthcoming). Canada. Parliament of Canada, House of Commons. Debates. 41st Parliament, 1st Session. (Debate on the Senate Reform Act), 8 December 2011: 1230. http://www.parl.gc.ca/HousePublications/Publication.aspx?Language=E&Mode=1&Parl=41&Ses=1&DocId=5319448 [Accessed 12 December 2011].1420. Bob Rae (Leader of the Liberal Party of Canada), Open Letter to the Governor General of Canada, 12 December 2011. http://www.liberal.ca/files/2011/12/Rae-to-GG-Bill-C-18-EN.pdf [Accessed 12 December 2011]. The Official Website of the British Monarchy. 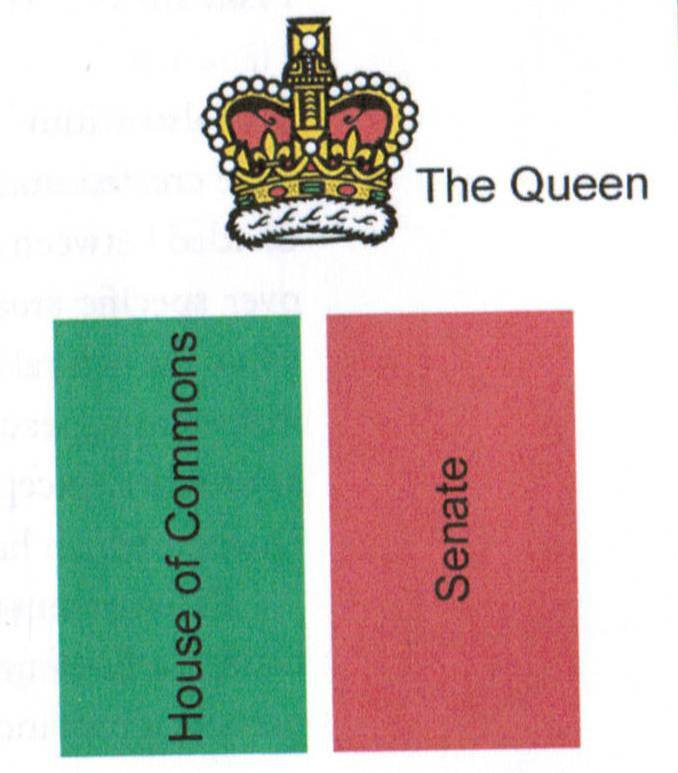 “The Queen-in-Parliament” [emphasis added]. http://www.royal.gov.uk/MonarchUK/QueenandGovernment/QueeninParliament.aspx [Accessed 12 December 2011]. Walter Bagehot, The English Constitution. (London: Collins, 1963): 74-75. Canada. Privy Council Office, Manual of Official Procedure of the Government of Canada, Henry F. Davis and André Millar. (Ottawa, Government of Canada, 1968): 417. Canada. Privy Council Office, Manual of Official Procedure of the Government of Canada, Henry F. Davis and André Millar. (Ottawa, Government of Canada, 1968): 419. Canada. Privy Council Office, Manual of Official Procedure of the Government of Canada: Appendices, Henry F. Davis and André Millar. (Ottawa, Government of Canada, 1968): 469-470 [emphasis added]. Peter W. Hogg, The Constitutional Law, 2011 Student Edition (Toronto: Thomas-Reuters Canada Ltd., 2011): 1-21 to 1-22.
http://laws.justice.gc.ca/eng/Const/PRINT_E.pdf [Accessed 12 December 2011]. Corbett Haselgrove Spurin, “Chapter 5: Constitutional Conventions” in Constitutional and Administrative Law (Corbett Haselgrove Spurin, 2004): 3. <http://www.nadr.co.uk/articles/published/ConstitutionalLaw/Chapter005Conventions.pdf>. Peter W. Hogg, The Constitutional Law, 2011 Student Edition (Toronto: Thomas-Reuters Canada Ltd., 2011): 1-27. Adam Dodek, “Crisis in Canada: Coalition Governments and Beyond,” Conference by the University of Ottawa’s Faculty of Common Law (Ottawa, Ontario, 4 December 2008); Andrew Heard, Canadian Constitutional Conventions: The Marriage of Law and Politics (Toronto: Oxford University Press Canada, 1991): 41; Peter J. Boyce, The Queen’s Other Realms: The Crown and Its Legacy in Australia, Canada, and New Zealand. (Annandale, NSW: The Federation Press, 2008): 60. Dodek and Heard discussed the fact that the prime minister of a Commonwealth realm can advise the British monarch to dismissal the governor general. Boyce argued in favour of “the monarch’s duty to dismiss a governor-general on the advice of her prime minister.” Conversely, the governor general dismissed the prime minister in the Australian Constitutional Crisis of 1975. Canada. Parliament of Canada, House of Commons. Debates. 41st Parliament, 1st Session. (Debate on the Senate Reform Act), 8 December 2011: 1230. http://www.parl.gc.ca/HousePublications/Publication.aspx?Language=E&Mode=1&Parl=41&Ses=1&DocId=5319448 [Accessed 12 December 2011]. Pat Martin, MP. Discussion with Author, 12 December 2011. This entry was posted in Crown (Powers and Office), Governor's Discretion, Officialization of Convention, Royal Assent and tagged A.V. Dicey, Balanced Constitution, Bob Rae, Letters Patent 1947, Manual of Official Procedure of the Government of Canada, Pat Martin, Sir Ivor W. Jennings, Sir John George Bourinot, Statute of Westminister, Walter Bagehot. Bookmark the permalink. Thus there is ambiguity: one piece of information from the legislature (1954) stating that the executive does counsel the Queen, and another from the executive (1972) stating that they don’t! Thus the Government could block a bill from becoming an Act. But that would result in negative publicity. You may be interested in this UK Huffington Post article, which alleges royal vetoes on several dozen bills not only from the Queen but also from Charles over the past half century. It links to a somewhat more informative Guardian article. It’s not quite clear from the discussion whether withholding of assent was involved in all cases, or whether it was a question of prior consultation with the Queen and Charles on matters materially affecting their own interests was involved. One case that did seem to involve a central constitutional principle was the apparent refusal of assent to a 1999 private member’s bill attempting to transfer the power to declare war to Parliament away from the executive. I imagine that the prime minister’s advice may have had something to do with this, but the article is muddy enough on this point (including its idea that the Queen and Parliament are separate institutions) that I come away not entirely sure of what may have been going on. James, in your view does the Crown (GG) take the advice of Ministers, or does the Queen take the advice of two houses of Parliament? That is, in your view in what circumstances, if any, can the Governor General refuse royal assent to legislation passed by both Houses of Parliament (if advised to do so by his or her Ministers)? Andrew Heard make a few mutterings that the PM could advise the GG to not sign legislation with a gross drafting error, but I would like to see what Canadian authorities have said on this matter (I am arguing in a paper of mine that the Crown acts on the advice of Ministers, not Parliament). As Christopher, who linked here wrote, “Better to be prime minister than a master of constitutional pedantry, he do think.” That was in reference to Rae, but it applies to Harper 2011, 2010, 2009, 2008… etc. 2012 needs to be built upon, and what’s better to build upon than a majority government elected after being found in contempt of Parliament? I would challenge the validity of A.V. Dicey concept of Parliamentary Supremacy, in fact I would not be the first one as even the House of Lord as stated that sometime parliament can to some extent bind itself. Even Dicey would have said that the most important part of the UK constitution was the Rule of law and thus an interesting question arise from where those Parliament gets it powers? The best answer is that it got its power from the struggle between common law and the crown, is this is so and hold water from the origin than the Canadian constitutional acts are marked by this underlying value of the struggle between Queen and Parliament; and the common law. If the value of the Unwritten Rule of law is a part of the Canadian constitution it seems that it would naturally come from the roots of the system. As such the court can Challenge parliament but only when parliament challenged parliament. Looking at recent development in UK constitutional law (Jackson; Thoburn & Factortame) , my opinion would be that our court might be ready for a real constitutional debate. Great discussion on whether the GG can refuse royal assent to a bill passed by both houses of Parliament. Sarah introduced very important item by mentioning Unwritten Constitutional Principles, but if I understand correctly, they are only “unwritten” in the sense that they are not made explicit in the written Constitution. This point may assist Alex with one of his questions (2:11 am, 13th): the UCP underlie, or flow from, the written Constitution so there can be no conflict between them. On another point, parliamentary privilege is, I suggest, not really a UCP like others mentioned. 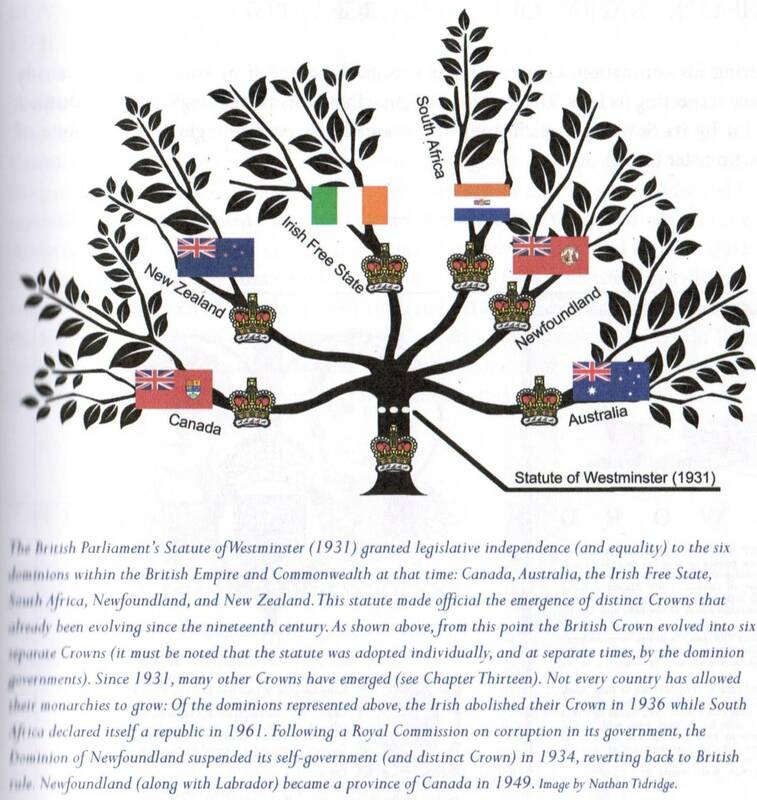 Inherent privilege was recognized by courts for Canadian colonial legislatures by virtue of their being legislatures. The federal Parliament has legislated privileges by virtue of Constitution Act, 1867. And provincial legislatures can legislate privileges by virtue of their power to amend their own constitutions. Note that territorial legislatures cannot do this and so would have only inherent privileges. Finally, I would point out that a number of provisions in the 1867 Act are now “obsolete”, not just the power of the GG to refuse assent. Yes, the GG could bawk at giving assent and there would be nothing a court could do because the power to refuse is still in the written document, but the GG would be violating a very strong convention and would be out on his/her ear before he even got to the Senate chamber to say no to the bill (not really the procedure anyway). So the GG really has no power to refuse assent nowadays, as James rightly argues. s.55 of the 1867 Act establishes the authority to refuse assent, and the 1947 Letters specifically establishes that the GG has the right to exercise all powers granted by the 1867 Act. Re the 1978 Bill, do you know of a copy of the text anywhere? I can’t even find reference to it. Also, Sarah mentioned the Patriation Reference earlier, which is interesting with regard to this question for another reason – the core decision of the Patriation Reference was that constitutional conventions, though real and important, do not have legal force. What has legal force is the law, and conventions are only enforceable politically. In other words, even though the convention against refusal of assent exists and has a huge weight of history behind it, it does not outweigh the written constitution. Apparently reply depth nesting is limited. Shame. Re Sarah’s 1:46 – I was unfamiliar with that terminology, but it sounds about right. What’s generally taken to happen when a UCP comes into conflict with the written constitution? WordPress automatically marks as spam posts that contain more than two links. Thanks for bringing all the Realms into this! I will examine those links in more detail later. But in general, the other Realms can explicitly choose to codify a veto in their modern constitutions post Statute of Westminster if they wish. The Statute of Westminster ensured that the Westminster Parliament’s jurisdiction extended only over the United Kingdom and the crown dependencies and overseas territories such that it could not legislate for the Dominions (now Realms). The provisions contained in Section 55 of our Constitution Act only make sense in the context of colonial subordination pre-1931; essentially, the provision allowed the Canadian Governor General to “reserve” the bill but gave the British Sovereign the ultimate veto (on the advice of the British cabinet). I still maintain that Section 55 of our Constitution Act, 1867 is a dead-letter provision for the reasons that I noted in the entry and that the Crown of Canada does not allow for the refusal to grant Royal Assent. In other words, he can assent, refuse, or say “Hey, the Queen’s going to be in town next week, I’ll let her do it”. It does not rest the ultimate power with the Queen, it merely states that the power flows from her(which is inherent in the position of Governor-General). Modern conventions in light of the Statute of Westminster and the Letters Patent, 1947 make these dead-letter provisions. Conventions and principles can and often do over-ride the written constitution. Now there is but one option: grant Royal Assent to all bills that have passed both Houses of Parliament. Only Trudeau’s Constitutional Amendment Bill of 1978 (which of course failed) would have truly codified operative viceregal reserve powers. Firstly, let’s cover the obvious point of agreement – Rae’s advice to GG Johnson is pure political grandstanding, and it is obviously of no weight. It will never happen, and Rae(who is not a stupid man) would probably be quite terrified if it somehow did. In all likelihood, any attempt to do so would destroy the Constitution. That said, I disagree on your broader point. Canada has a written Constitution, and as such anything written trumps anything unwritten in terms of pure legality. It would be fantastically ill-advised for Royal Assent to be withheld, and you’re right that it will likely never happen again, but it is still the law of the land that it could in principle happen. Until and unless we change the written Constitution to specify otherwise, it will remain one of the reserve powers. I also find it interesting that you date the destruction of the power to the mid-19th century. After all, the BNA Act was passed in 1867, a point by which you claim that the power of veto had been abolished, and yet it was explicitly written in. To the best of my knowledge, the BNA Act is the first bill ever to specifically establish the powers of the Crown in writing, so it’s not like they cribbed that section from a previous act establishing a separate national government, but yet the power is there. Even if some scholars believe that the power had been abolished by then, clearly Macdonald and Disraeli disagreed. And of course, even if it had been(or today has been) abolished in the United Kingdom from disuse, it is still established law in Canada. You persuaded me to be more clear about the non-applicability of the defunct reserve power on Royal Assent. I said, based on Bagehot, that this reserve power had lapsed BY 1867, not that it lapsed IN 1867. Bagehot merely recognized what already existed when he wrote “The English Constitution” in 1867. Second, I already explained why Section 55 of the Constitution Act, 1867 codifies the power of the Governor General to reserve legislation: in 1867, the Dominion of Canada was not fully independent, because ultimately, only one Crown existed. We were only a colony back then, and the British North America Act, a British statute, imposed restrictions on the Dominion of Canada as a colony under the British Crown. The Crown of Canada did not yet exist. These restrictions included the power of the British cabinet to advise the Queen to veto legislation passed by the Dominion Parliament that the British government considered ultra vires or damaging to Imperial interests. Then in 1931 the Statute of Westminster formally created the Crown of Canada and removed this subordinate, colonial relationship — and therefore removed any reason whatsoever to allow for the gubernatorial veto. Sorry if I was unclear – I didn’t mean to suggest that the lapse happened in a particular year, because that would obviously be ridiculous. But if it happened by 1867, then surely a law drafted in 1867 would acknowledge it. Re the Statute of Westminster, did it make any particular mention of the removal of this power, or did it simply remove what you consider to be the rationale behind that power? Also, there’s an easy way to answer these. 12 new Commonwealth Realms have been established since 1931. Simply look to see if there’s mention of royal assent in their Constitutions. I have found the relevant clause in all of these Constitutions, with the exception of Papua New Guinea, which seems to have no concept of assent. In sum – of the 11 that have a notion of assent, 2 make it absolutely mandatory, 3 make it mandatory if the presentation of the bill is “in accordance with this Constitution”(which probably refers to procedural formalities outlined prior, but could possibly be argued to preserve the right to refuse assent to unconstitutional legislation), and 6 leave it optional. And these were all written between 1962 and 1981, which is plenty modern for the purposes of this discussion, and freakishly new by the standards of you and I conversing. In other words, I’d say that the notion of assent can still clearly be held to exist post-Westminster, and that it should be judged based on the written Constitution whether a particular Governor-General has the power to withhold assent or not. If a nation wishes to eliminate that power, they are quite capable of doing so, as those five illustrate. If that power has not been explicitly eliminated after being explicitly proclaimed, then it must therefore still exist. It’s also not the case that the written constitution supersedes constitutional conventions. The Supreme Court has recognized (in New Brunswick Broadcasting Company v. Nova Scotia, 1993; Vaid, 2005) that one part of the constitution cannot be used in order to invalidate another part of the constitution. Sure, but has it ever ruled that conventions are part of the Constitution, to be held at equal weight with the written parts? I doubt the question has ever arisen, but if it did my expectation is that the hierarchy would be written Constitution > conventions > laws. Put it on the same level as the other rights not enumerated, maybe. Alex, you are confusing Constitutional Conventions and Unwritten Constitutional Principles (UCP). While these are conceptually related, they are distinct and have different legal rules which apply to them. A UCP is just as much a part of the constitution as its written provisions. A constitutional convention is a politically enforceable (rather than judicially enforceable) sense of the norms and accepted practices and limits in the public law sphere. While a court may not enforce a constitutional convention, they are able to rule whether or not a convention does, in fact, exist or not (for instance, see the Patriation Reference). The test for establishing if something is indeed a constitutional convention is: 1) What are the precedents? 2) Did the actors believe that they were bound by a rule? 3) Is there a reason for the rule? In contrast, an Unwritten Constitutional Principle is justiciable in the courts. Some UCPs which have been recognized include Federalism, Democracy, Constitutionalism and the Rule of Law, Protection of Minorities (from the Quebec Secession Reference), Judicial Independence (from the PEI Judges Reference), and Parliamentary Privilege (from NB Broadcasting v. Nova Scotia Speaker). Courts may intervene and strike down laws on the basis of an UCP (for example, ruling that a court administration structure violates judicial independence and requiring the executive to better protect the independence of the judiciary). However, it is also important to note that some academics, notably Peter Hogg, are not big fans of UCPs since they are hard to discern. You are right – courts do not enforce conventions and the power would probably be non-justiciable. The court cannot adjudicate over whether royal assent was improperly withheld anymore then whether a “good” treaty should have been signed or Parliament dissolved; at best they might recognize a legal power to do so. The courts have never indicated that such prerogatives are justiciable. Thus, if the Crown adopted either course there is no apparent legal obstacle in her way. Also, because the power is discretionary as a matter of law (or if the extremely unlikely event it was held convention trumps the written law) there is no guarantee the court will issue mandamus against the Crown.